Awarded Best Montreal Technology Agency in 2018 and 2019 by Consumer's Choice. CyberPublicity is a Quebec based company that offers "Outside The Box" solutions by developing and implementing innovative digital solutions. Since 2011, CyberPublicity has based its organizational development on three fundamental principles: the human aspect, innovation and results. Humans are at the heart of CyberPublicity. We consider our customers as partners rather than just transactions. Our suppliers as business partners. Building and maintaining quality relationships with customers and suppliers is essential for the growth of our company. 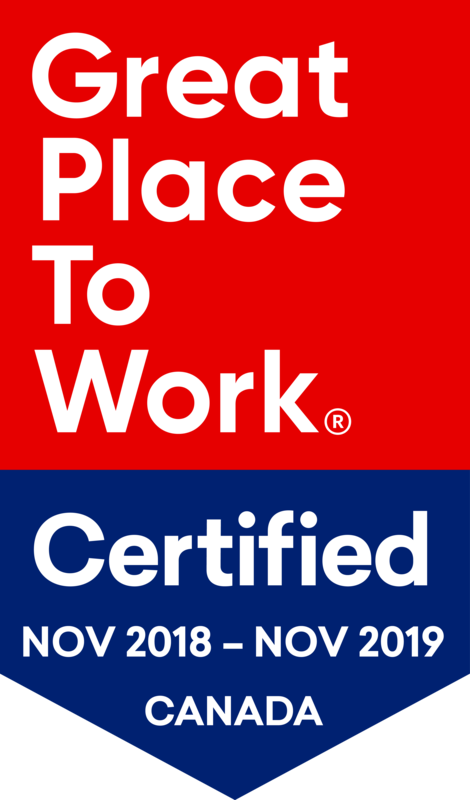 In addition, we are committed to our employees and strive to maintain an engaging, dynamic and positive work environment, conducive to self-improvement, respect and teamwork. Innovation is at the center of our activities. Our resources are mobilized towards creating what has not been done yet. "The only limits that a man has are the ones he imposes on himself" (Goldwit). We tend to eliminate them all. Our goal is to achieve results in order to serve you efficiently. We're committed to providing optimal solutions that generate the best results for your business. More than 1000 satisfied customers. Good analysis and explanations are easy to understand. They took the time to explain things to improve my Google Adwords. I recommend CyberPublicity! A very friendly team with whom it is easy to work with and who respects its commitments... that's happiness! We used CyberPublicity for an analysis of our AdWord campaigns and we are very satisfied with the quality of it. We would definitely recommend this service. The impact was immediate, our sales increased by 100%% in the first year. The customer service to is very warm and friendly, follow-ups are well done. They offer excellent service and flexibility! It's a pleasure to do business with them :) They are really professional! We have been dealing with CyberPublicity for a few months and already we notice a difference. The service is professional, personalized and adapted to our needs. We would not hesitate a minute to recommend CyberPublicity. A big thank you to all of you. It's a passionate team who love their jobs! Keep up the good work guys! Excellent and professional team for SEO, I highly recommend them! The company in Quebec for Web Marketing. I have been with them for almost 2 years and my customers keep increasing! Always confident and great customer service. I recommend everyone to do business with Cyberpublicity! Cyberpublicity is an extraordinary partner and collaborator. They are always at the forefront of SEO strategies. They offer very competitive marketing services and more. If you want to do business with experts in the field, Cyberpublicity are very professional. We have been using CyberPublicity's services for more than 2 years and we will continue! We have been advised appropriately and now the results are beyond our expectations! Thanks to the whole team! Fast and reliable agency that really helps to drive our paid search advertising campaigns in France. If you are looking for professionals to run your AdWords campaigns you can't go wrong with CyberPublicity. Fast and reliable agency that really helps to drive our paid search advertisement campaigns in France. A deep knowledge and expertise on a highly sophisticated level complete this extraordinary service. If you are looking for a professional contractor to run your AdWord campaigns you can't go wrong with CyberPublicity. Great SEO company in Montréal. I just switched with them and got 3x what I had with my old company for same price.